Two and a half to three hours northeast of Edmonton, sitting on the Saskatchewan border you will find the MD of Bonnyville, town of Bonnyville and City of Cold Lake. There is a reason why we call it the Lakeland; the Bonnyville Cold Lake region has a number of lakes for any season enjoyment. Our lakes are great for fishing on, camping by, beaching it and skiing or sledding on. 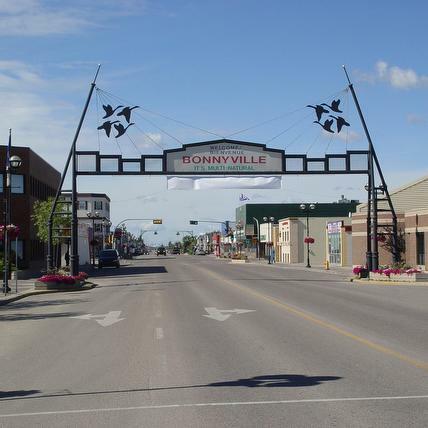 The Municipal District of Bonnyville covers 7,132 square kilometres of land varying from rugged boreal forest to rich prairie farmland. With such a diverse landscape, the region is able to accommodate virtually any type of development, whether it is an intensive farming operation, a heavy industrial manufacturing facility or a large scale residential project. The MD of Bonnyville surrounds both the Town of Bonnyville and the City of Cold Lake and also includes Iron River, LaCorey(pop:90), Cherry Grove(pop: 452), Ardmore, Fort Kent and Glendon. Lakes, campgrounds, fishing, hunting what more can you ask for; how about Kinosoo Ridge which has a triple chairlift, a bunny hill and terrain park for snowboarders and a fantastic new chalet with the best scenic views of Cold Lake. It is fast becoming a leader in the oil and gas industry for Northeastern Alberta and with over 60 national and international companies setting up head offices within the Town. Bonnyville’s main street has a number of interesting and unique stores and has some fine eating establishments along with a cultural heritage. Jessie Lake has excellent bird watching and the town is surrounded by lakes and boreal forest which is full of natural wonders. This is home to approximately 10,000 people living in the town giving them many choices for their work and play. 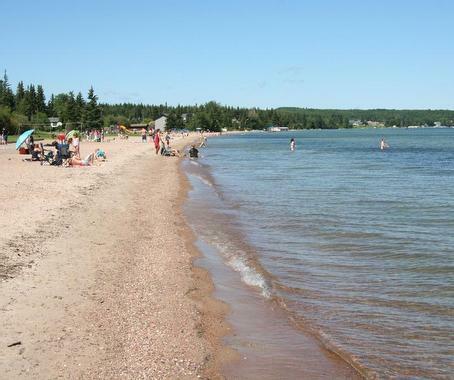 The city of Cold Lake named after the 7th largest lake in Alberta was formed in 2000, in 1996 the three communities of the Town of Cold Lake, Town of Grand Centre and 4Wing Cold Lake were amalgamated; which now has a population of approximately 15,000 people. Known as Cold Lake north, the original Cold Lake boasts the largest inland marina in western Canada; and is considered a bedroom community. It has limited restaurants along the lakeshore some Bed & Breakfasts and a small strip mall. Cold Lake south or the original Grand Centre is where most of the business can be found from a mall to box stores Cold Lake has many natural outdoor activities for everyone to enjoy and a state of the art Energy Centre which houses rinks, running track, weight room and much more. Home to 4Wing Cold Lake the largest air base in Canada; this makes bird watching in Cold Lake completely unique. Having the military as part of Cold Lake brings a stable economy from any possible trends.